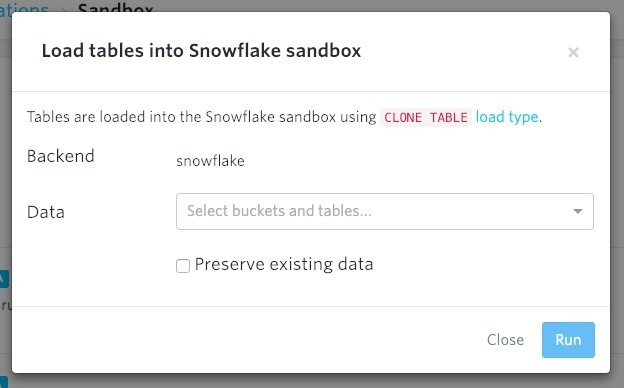 Storage API - supports multiple where filters and order by statement inside datapreview and asynchronous table export. 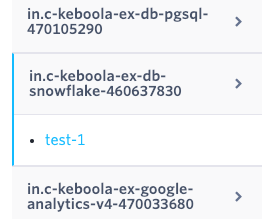 You can quickly search for your data in datapreview with multiple conditions. We are going to add this feature to UI soon. GoodData SSO login using GET links will stop working on March 18. It means that property link in the response of SSO login using GoodData Writer will stop working too. If you use any custom solution built upon our Writer, you need to migrate it to the new POST login, i.e. take property encryptedClaims from our resource and call this GoodData API call: https://help.gooddata.com/display/doc/API+Reference#/reference/authentication/sso-pgp-login which will login your user. SSO links to GoodData in our Connection UI are already migrated to the new method. 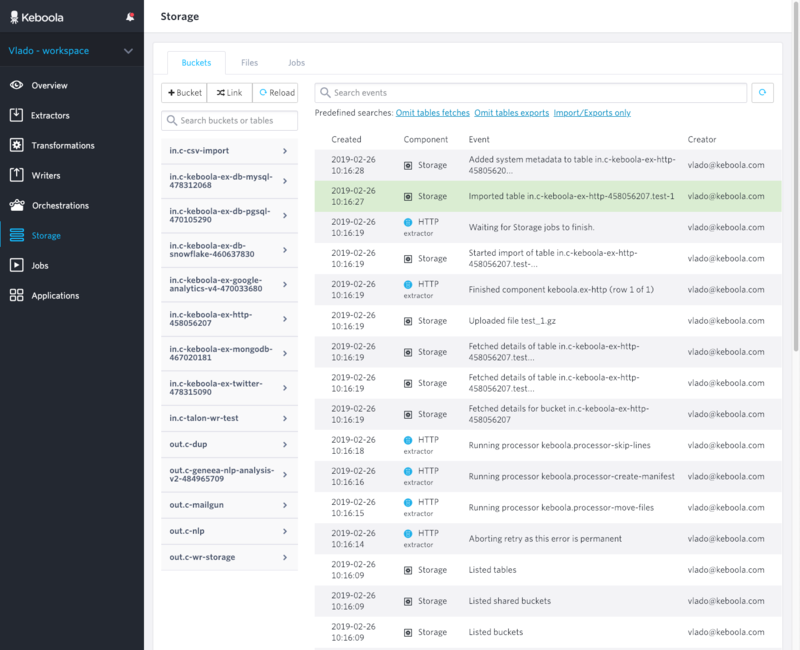 We're happy to announce a small technology update of our Storage Console. Several months in the making, this will allow us to bring new features in the near future. You can no longer see an additional loading page when navigating to Storage from other pages. Search in buckets (or tables) highlights the matched parts of your search query in yellow. An active bucket is highlighted on the left side when its detail or a detail of its table is active. Files and Jobs sections are automatically reloaded every 20 seconds. 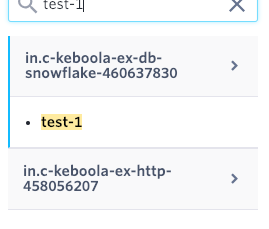 Event sections have predefined searches, so you can filter events faster. 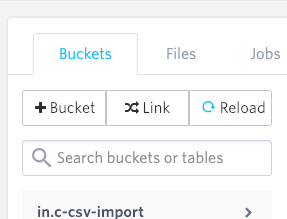 Buttons Create Bucket, Link Bucket and Reload are now bigger. 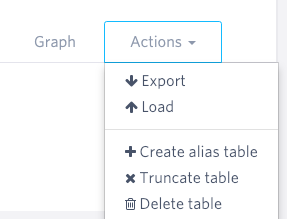 There's an option to create Table Alias directly from a table detail (in Actions). Other minor cosmetic things like navigation, buttons, etc. A fix has beed deployed and the problem now longer occurs. We suppose, that around 50 jobs suffered from this issue. 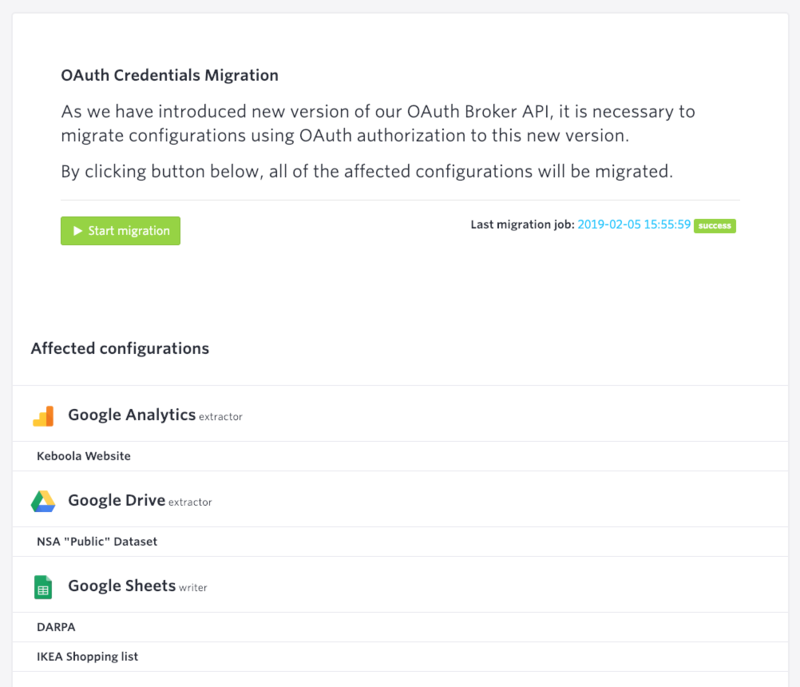 We're experiencing issues with new OAuth Broker API. In some cases it might not return the authorised credentials for a component's job. Re-running the job might be successful. The fix will be deployed very soon. If you haven't migrated to the new version, please wait until the fix is deployed. We're terribly sorry for any inconvenience. We're working hard every day to make Keboola Connection faster and minimize the time you spend waiting for your results. This effort includes a wide variety of components of the platform architecture. Some of the changes are straightforward and transparent to the end users, but others are unexpectedly complicated. This is the case of transformations. We rolled out an update earlier this year and were forced to immediately rollback to the previous version as it broke the data flow in a few projects. This time, we're more prepared. We have identified the source of the incompatibility, and we'll be rolling out the update silently, only for those projects that will not be adversely affected. The projects that would be affected will not be updated. Instead, they will be notified to take steps to fix the incompatibilities. Then they'll become eligible for the update as well. In the original system, when all transformations in a phase are executed, the output processing starts. It takes all the transformations sequentially and processes the outputs one by one. The order of the executions is not defined, but it is predictable and, most importantly, it doesn't change between runs. Some projects rely on a specific order of output processing to achieve certain goals. To speed up the output, we have decided to queue all outputs at once and let Storage handle all jobs as fast as possible. But, as you already may have noticed, this mean the transformations can run in any order or even in parallel. This may affect the result of the output if you relied on a particular order. The project overview and all affected transformations will notify you about multiple outputs being written to the same table in Storage. You will be easily navigated to the places that need to be fixed. Please contact our support if you need any help doing that. Once you have fixed all instances where multiple outputs are written to the same table in your project, you can immediately contact us using the support button. We will turn on the update in your project. 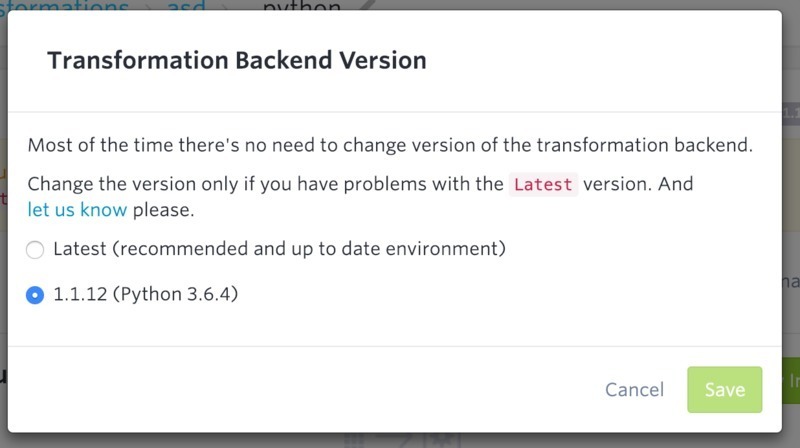 Or, wait until we update your project automatically (we're watching all projects regularly).